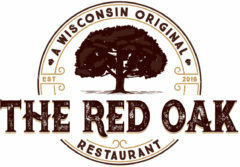 We’re happy to introduce you to the producers of the ground beef we use here at The Red Oak. 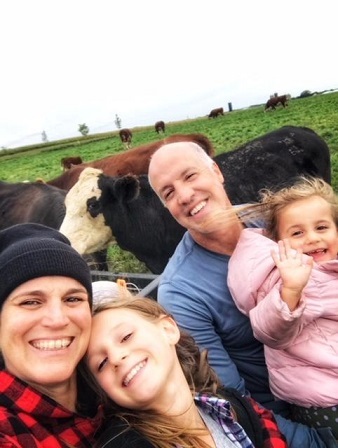 Paul and Marisa Maggio, along with their two beautiful daughters Cecilia and Corinna, are owners of Starry Nights Farm, in Wheatland. While Paul grew up in Kenosha, they both lived in Chicago the past 20+ years but decided to buy land in Wisconsin as an investment back in 2012. At first, their intent was to rent the land to someone who would farm it organically and in an environmentally conscious way, but it soon became apparent that this was something they both really wanted to be a part of permanently. So, in 2015 they left the corporate world and became “full on farmers!” Paul does the farm work while Marisa does all the marketing, accounting, and handles all the details involving the organic certification. The Maggio’s are proud to say that their farm is USDA Certified Organic and Animal Welfare Approved. Put simply it means that they are free of pesticides, synthetic fertilizers, sewage sludge, genetically modified organisms, and ionizing radiation. Their 110 herd cows are given no antibiotics or growth hormones ever, are treated humanely, and raised outdoors with ample space. It is important to Paul and Marisa that their cows be grass fed as it is their natural diet. They do this to provide a healthier product, and because it is better for their land. Grass fed cows will taste a little different than corn fed cows and will have a thinner layer of fat. They have less total fat, more healthy omega-3 fatty acids, antioxidants, and other important nutrients. 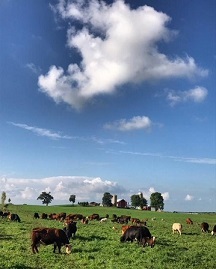 Starry Nights mission is to produce top quality 100% grass fed beef in a sustainable, humane way in order to deliver a delicious and nutritious product to their local customers. Their animals have a clean stress-free life while at the farm. Ideally, those who come to Starry Nights Farm are families who want to eat healthy as well as those who want to be environmentally stable. Helping to reestablish the connection between growers and eaters is why they focus their sales locally. They enjoy discussing their passion with others and help educate families on the varieties of beef cuts, cooking methods, and recipes. You can find out more about them on their blog posts, Facebook page, Instagram, or by subscribing to their newsletter. While working on the farm they have come to have a real appreciation for how much work goes into farming. 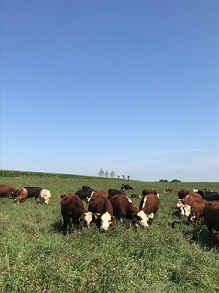 They have established a connection to the circle of life and have an understanding that you are what you eat, which is why they’ve decided to follow the organic standards as well as cows’ natural diet of grass. In the future, Paul and Marisa are exploring hosting events and weekends at the farm, helping others get connected to the land. You can visit them at starrynightsfarm.com or follow them @starrynightsfarm.